Are you a small business owner or entreprenueur looking for business assistance? Let us help--simply click on the InsYght button above to learn more. This free service connects you to resources that can help your business by matching you with entrepreneur tools based on your unique profile requirements. Help is but a click away! Mecosta County truly is the 'County for Every Season.' There is no better place to work, raise a family, or vacation. The county's prospering rural economy allows our residents to enjoy a family-friendly atmosphere and a high quality of life. The diversified economy of Mecosta County is centered on agriculture, higher education, and a broad range of manufactring specialties which combined produces unparalleled economic stability. 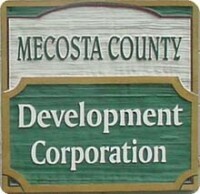 Mecosta County is a part of Region 4 which includes thirteen counties in West Central Michigan. This report was prepared by the W.E. Upjohn Institute for Employment Research and presented at a December 2018 meeting of The Right Place in Grand Rapids. Mecosta County is committed to working as a partner with Travel Michigan's award winning Pure Michigan advertising campaign. Support from a variety of local partners resulted in Mecosta County's participation in the marketing campaign. To learn more about the treasures awaiting to be discovered in Mecosta County, click on the link below to listen to the Mecosta County 'Best Kept Secret' Pure Michigan radio ad! Be sure to visit Michigan's official Travel and Tourism site to learn more about what our great state has to offer. At the annual meeting on December 14, 2018, the Mecosta County Board of Directors elected Dave Hamelund, owner of Hamtech Incorporated to serve as chair of the Mecosta County Development Corporation for 2018. 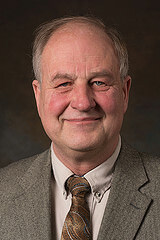 Board members also elected, Paul Griffith, Executive Director at Michigan Works! West Central as vice chair, Michelle Graham, supervisor for Mecosta Township as treasurer and Alan Sackett, owner of Sackett Potatoes, Inc. will serve as secretary. The board also elected the following to the executive committee: Bill Stanek, supervisor of Big Rapids Township, Paul Bullock, Controller/Administrator for Mecosta County, Miles Postema, Vice President and General Counsel for Ferris State University, Mark Gifford, city manager for Big Rapids, Jennifer Heinzman, executive director of the Mecosta County Area Chamber of Commerce and Eric Gustad, community affairs director for Consumers Energy.